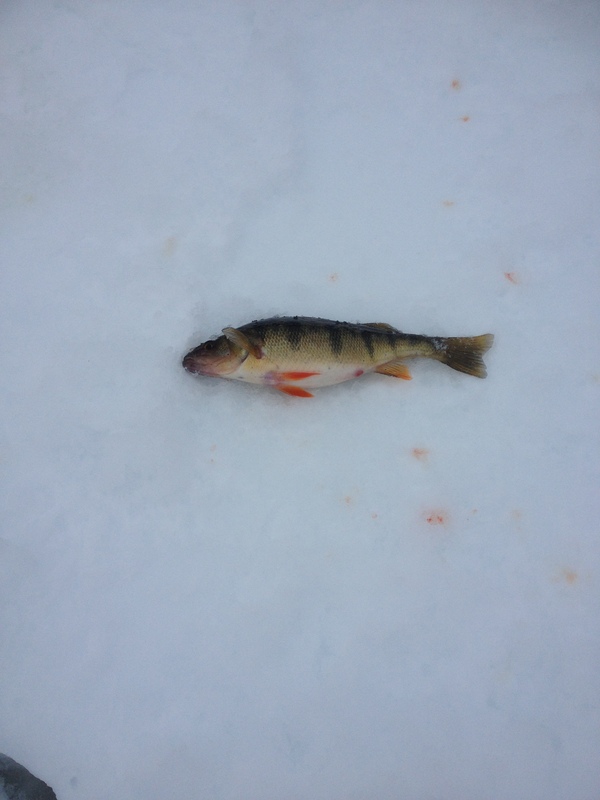 My Ice fishing season has started slow this year and without any real success. Hence the lack of posts on the blog. Thankfully I have had some recent success and am able to post an update on my recent goings on with some actual results and juicy fish pics for all to enjoy. 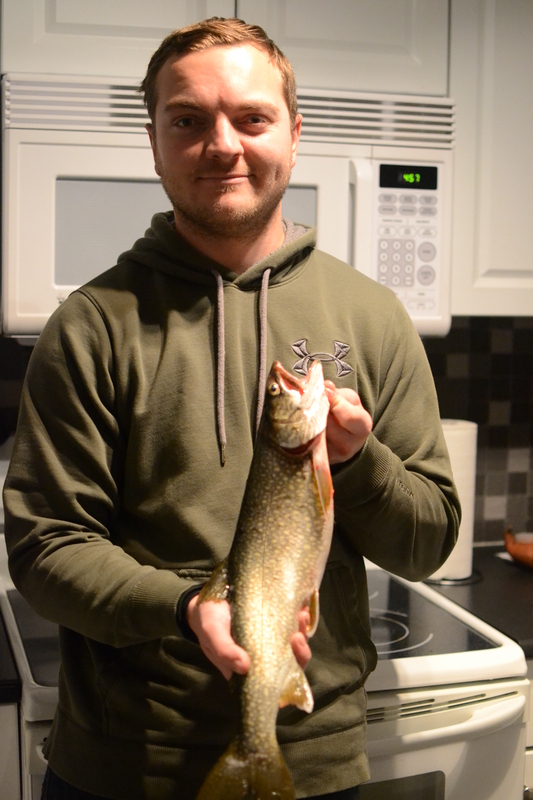 The second our corner of Southern Ontario had safe, fishable ice, my work mates and I were out looking for the early season bite. Our first trip was to Verona Lake, which is, surprise surprise, right near Verona. We didn’t end up catching much but was it was a good way to brush the rust off our gear and get back into the swing of things on a new lake in the area. I followed up the first outing of the season with a trip to my friend Dave ‘s Cottage on Long Lake. we managed a few decent perch and marked quite a few decent sized fish on the finders. Unfortunately we weren’t able to coax any of the lakes elusive walleye into biting. Despite the lack of eyes, The trip was still very enjoyable as we were treated to an amazing sunset. Sometimes thats all it takes to make a fishing trip worth while. 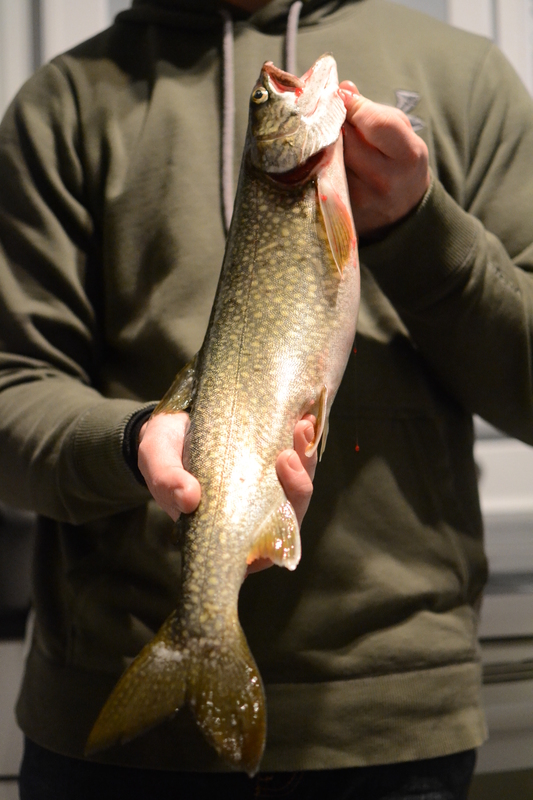 The third trip of the season was to Little Clear lake for some Trout action. Once again, caught lots of perch but no trout. There was lots of ice on the lake but a tough slog hiking in due to a thin layer of crust which made walking very tedious and tiring. Once again, Dave and I found ourselves with some time on our hands so we gathered up the fishing gear and headed out. Our first stop was at Deadman’s Bay located just south of Fort Henry. Although we didn’t catch any fish we enjoyed an amazing view through 6 – 8″ of clear black ice through 10 to 20 of crystal clear water. Since things were dead ain deadmans bay, we made a snap decision and headed up to Loughborough Lake hoping to get lucky with the Lakers. 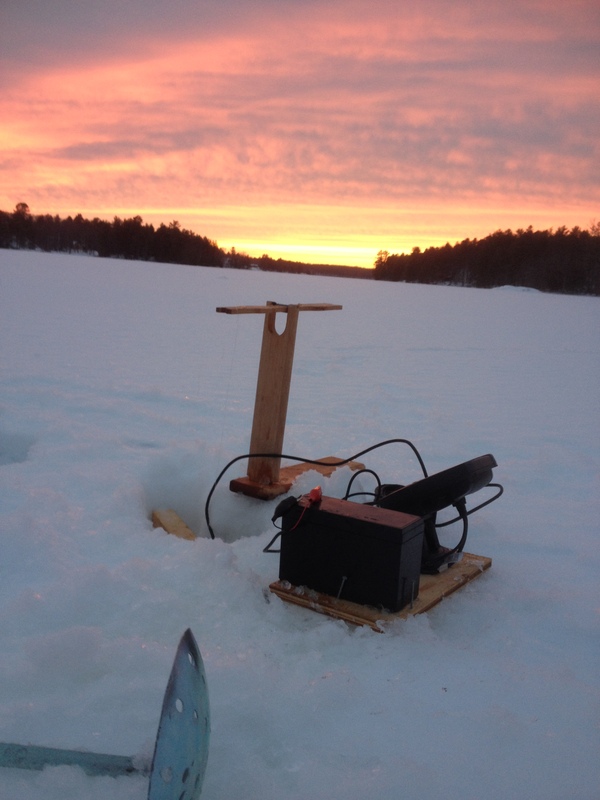 Upon arrival we headed out to the laker grounds in 80 – 90 FOW and punched a few holes through the ice. 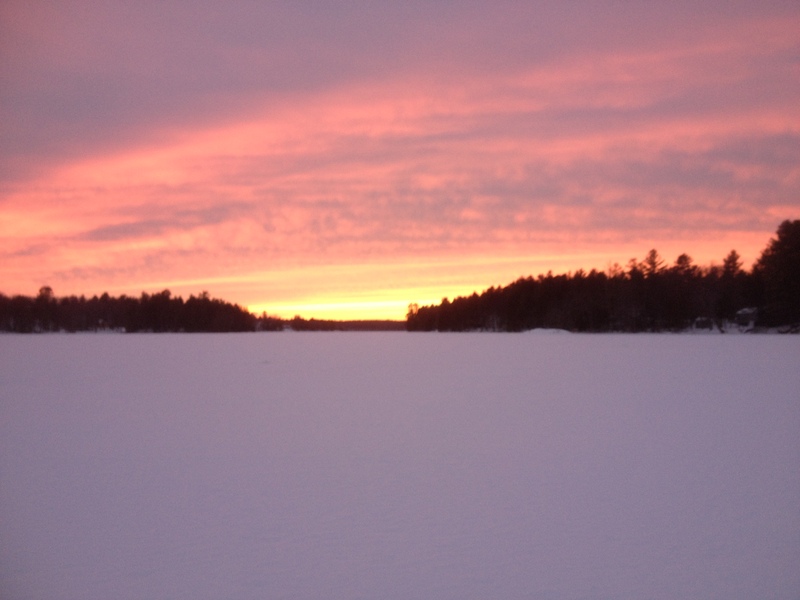 It was a beautiful afternoon with near 0 degree temperatures and very few fisherman on the ice. Our lure choices included silver jigging shad raps, cleos and wobblers all jigged a varying depths throughout the water column. Id estimate the fish to be a solid 2lbs. With the first real success of the season achieved I am looking forward to the next outing. The plan is to hit up the Bay of Quinte in a couple weeks for some monster Walleyes. Here’s hoping they cooperate! 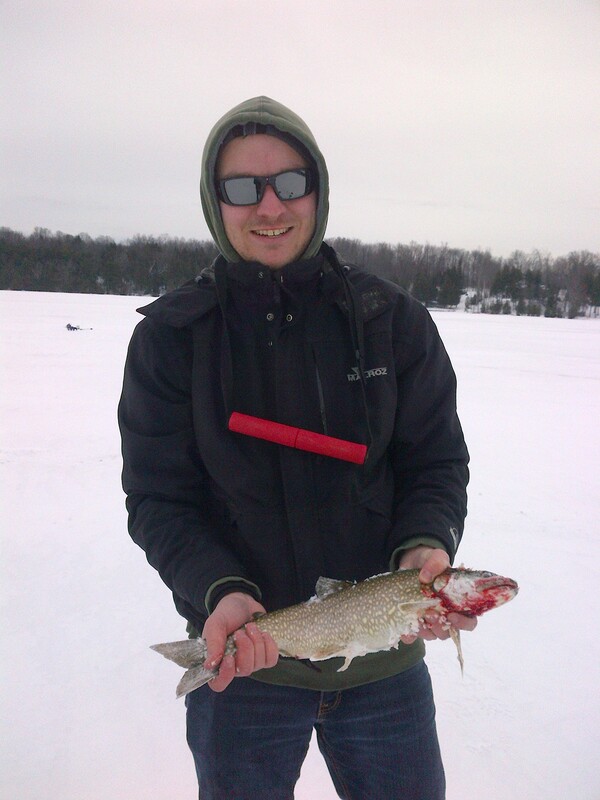 This entry was posted in Fishing and tagged explore ontario, Fishing in Ontario, get outdoors, Get Outside, Ice fishing, Icefishing Lake trout, Lake Trout, Loughborough Lake, Ontario Tourism, Outdoor Activities, Outdoors, the wilds of ontario. Bookmark the permalink. ← Winter is Here! Ice Fishing is Near! 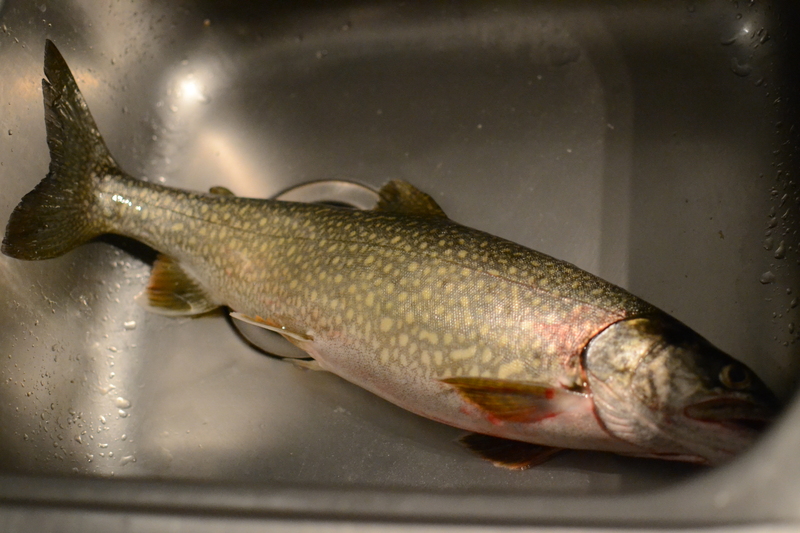 I want to catch a lake trout pretty bad. We’re heading out onto Lake Michigan this winter to try and pull some out of Milwaukee harbor. Congrats, that’s a very nice fish! thanks! Not sure what works down there but our go to lures up here are white tubes, jigging spoons and jigging raps. Good luck!